1. Leave cash or a check in the clear Donations Box in the Center. Great for Dues! If the check is for Dues or for a Class please write it in the Memo line. 2. Make Automatic payments through VancoPayments.com. Great for Dues! c. Put the paper form in the locked Donation Box. Fees for us = 0.29 cents/ $10. d. We are trying to get a secure online form set-up with Vanco Services. 3. Make Automatic payments through Paypal.com. Great for Dues! First, set up a Paypal account for yourself at Paypal.com. There are two options at this point. You can complete the membership form and check “I would like to pay monthly dues online”, Choose “Yes”. When you “Submit” the form you will be taken to your PayPal account to authorize a monthly charge. b. Click on “My Money” on the left. 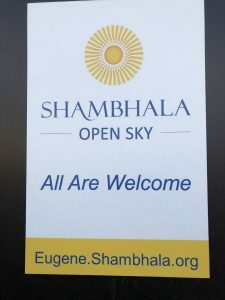 c. Click on “My pre-approved payments” and enter the information for making payments to eugene.shambhala@gmail.com Fees for us = 0.30 cents/ $10. 4. Receive a monthly Invoice and then decide if you can give. If you don’t want to set up “autopay” you can be “billed” every month, with an Invoice sent from Paypal.com to your phone. When you receive it you can click on “pay through my Paypal Account”, or if you prefer not to have a Paypal account, you can enter your credit card number directly. This way you can choose when to give. 5. Open Sky Eugene Webpage – Donate through PayPal. 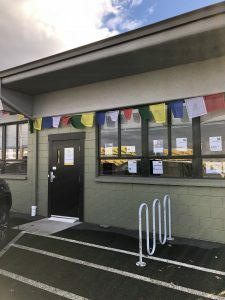 Go to Open Sky website, https://eugene.shambhala.org/donation/, and click on the words “Donate Here” This will take you to https://www.paypal.com/fundraiser/charity/117262. There is no Automatic Payment option for this method, so if you want to pay Dues this way, please put it on your calendar. We pay no fees on donations to this site.